ALUMNI SPOTLIGHT: Macelle Albelda Skivington, Principal of M Design Build Studio, Inc.
We are excited to feature Macelle Albelda Skivington, Principal of M Design Build Studio, Inc. She graduated from the UCLA ARC-ID relatively recently, runs her own design firm, and let us in on some great insider info this month, ranging from the must-attend trade shows for your sector, to her unique time planning method, that frankly, is simple yet genius to compartmentalize the different parts of her day. We hope enjoy her answers as much as we do! When did you attend UCLA’s Extension ARC-ID program? What were the most helpful skills you learned from the program? I attended the program in 2016 . Where to start?! Yes, I was one of those people who complained that my hand and my back hurt from having create my drawings by hand, instead of just learning CAD, but I’m grateful for trusting the process. I was able to gain a great foundation that I build off of. My favorite classes were the History Classes, Surface Materials, Design Basics [Elements] 1 & 2 and Color Theory. I loved them all. I’m a Los Angeles native, however spent 10 years of my early adult life living in San Francisco. Where do you currently live, and how does it influence your work? I’m currently living in Highland Park and witnessing firsthand the explosive growth of a changing neighborhood. I’m constantly witnessing how a house, retail shop or restaurant evolves from a run down piece of property to a highly designed space and exciting all those who enter. I love creating amazing spaces that feel really good to be. There’s that magical chemistry that we learn through design school and on the job that enables us to create these spaces that uplift the lives of people around us. I want to continue being able to do that for the rest of my life. Current occupation within the industry? I run a boutique Design Firm that focuses mostly on commercial spaces for tenant improvements ranging from hipster office spaces to gyms, restaurants and bars. I also have a handful of clients that I do kitchen and bath remodel. I have about 7 active projects at the moment in both commercial and residential. My favorite projects right now are the 21,000 sf office space in Santa Monica that wants to infuse a youthful experience to attract today’s top talent. My favorite design job right now is for a client that wants us to take a property that was built it 1928, which was originally built as a car dealership and convert it into an office space with 2 retail units out front. The client had rescued 8 chandeliers from a historical hotel to hang amongst the exposed wooden beam trusts at 21’ high. My theme for the building design is what if “Vintage Hollywood and We Work had a baby.” It’s been a fun experience to work with great clients that give me that creative freedom. What are 3 qualities that got you to where you are today? Perseverance. Determination. Have no ego. One of the biggest challenges in this business is getting skilled at having those difficult conversations with clients, contractors and vendors. There’s always a moment in projects where the going gets tough and difficult conversations have to be had. Handling them with ease takes practice, patience and often times putting my ego away. I have to remind myself of focusing on the big picture, the end goal and getting us through the rough patches. It’s like being the captain of the ship and safely getting your team to their dream destination. It’s gotten so busy that I’ve had to color code my time. “Yellow Time”- Design Time, Paperwork Time, Dealing with running an actual business. 4am – 8am and then weekends. “Red Time” – I’m asleep and cannot talk to anyone! Ha! It’s also my family time. Best career advice you’ve gotten? Be You. I used to always question if I’m doing a good job or not. One of my favorite bosses said “Just be You” Stop worrying and be myself, that’s why they hired me. What is one helpful design resource you can recommend to our students as they enter the field? Depending on what kind of design you want to do, invest and attend a tradeshow. For Commerical, there’s HD Expo in Vegas, NeoCon in Chicago, BD West in Los Angeles, LightShow West Conference (Los Angeles) and attend all the workshop talks, panelists, etc. You will be able to absorb the latest trends and understand the latest challenges that industry is facing. Something you wish you knew when first got started designing? Well, I’m learning something new every single day. One of my favorite instructors taught me that I also need to design the process of how I’m going to get the work done. Design the process! What has been your greatest accomplishments as a designer? The ability to check my ego at the door, find really great mentors who believe in me. Right now I carry a tribe of mentors and business coaches who I lean on for support and their expertise. Without them, I wouldn’t have been able to accomplish what I have accomplished to date. What is your favorite thing in your own home? My art work. I invested in a Salvador Dali piece that I love to look at while it appreciated in value. Better investment that having stored cash in the bank! Also if I can say, my daughter, cause she’s in my home, right? When growth mode is in full force and the world is spinning, my business coach told me to have an Anchor. I have two anchors, my home and my 11 year old daughter. She makes me want to be a better person and inspiration to her. By next year I should have my first Development in place. Can’t say more right now, but stay tuned. I started the program in 1988 and continued it in 2002. There were 3 subjects I loved: drafting, color and kitchen design. Did you get your certificate, or Masters? If you have a Masters, why did you decide to pursue education past the certificate program, and how has it benefitted you? There wasn’t a masters program at the time. Being the incoming ASID LA Chapter president, what made you decide to take the position? How has ASID played a role in your professional (and personal) life thus far? Once my children were out of school I decided it was time to support ASID and donate my time like so many people before me. It is very important to belong to professional groups that support the industry you work in. These groups provide education, networking, resources, friendship, and so much more. ASID Los Angeles has been a definite asset to my business/career. Kitchen and Bath Interior Designer as well as full Interior Designer. I have several kitchens, baths and two entire home remodels (both homes were taken down to the studs) that I’m working on right now. What are 3 qualities that got you to where you are today, professionally and personally? A love for learning, listening skills, and people skills – of course it is always true with everyone, a strong work ethic. Finding time to grow my business. Up at 6am coffee and reading – 7:30am read emails, make notes, make calls, etc. – 10am first client appointment – 12pm grab lunch, read emails, return calls – 1pm second client appointment – 3pm third client appointment – 5pm review the day, make notes from appointments, review schedules for upcoming days – 5:30pm workout – 6:30pm dinner – 8pm read/research – 9:30pm bed. Always be looking for opportunities everywhere –enjoy meeting people. Go to the IP events and ask questions – the reps are wonderful resources! That the IP’s can actually help you with you client projects in so many ways! What is your favorite ‘thing’ in your own home? If you are fortunate to have Joanne MacCallum as your Studio 1 instructor, you know just how dedicated and hard working she is. Having gone through this program herself, she knows how to inspire her students to strive for their creative potential, while instilling important guidelines for space planning and codes for commercial projects. While her one-on-one personable and nurturing approach to teaching really is appreciated by all, sometimes as students we can forget that our instructors work and have lives outside of the classroom. Hence, we are thrilled to get to know Joanne a little better this month. When did you attend UCLA’s Extension ARC-ID progam? At that time, it was a longer program, maybe 3-1/2 years if you went straight through without a break. I worked while attending the program, plus I took summers off for family vacations, so it took me 7 years to finish! I took the studio classes one at a time, with no other classes, so I could focus 100% on the assignments. What is your background? How did you get to where you are today? I have had a number of different careers, but I’ve learned that every job I’ve had prior to entering the interior design field has been helpful in some aspect of the work. I attended USC and the University of Colorado, graduating with an English Lit degree. My first job out of college was teaching English and Journalism in a middle school. After 5 years, I took a break from teaching and went to work as a newswriter for a CBS television station. That became a 15-year career in TV news. After working as a newswriter, I was promoted to be an on-air news reporter, and then transitioned to management as an assignment editor, news director, and executive producer. From there, I took my production skills to a job as associate producer for a Disney game show. It involved a great deal of traveling, so after 2 years, I changed careers again. My interest in interior spaces led me to commercial real estate. I became a licensed real estate agent and worked finding and developing medical office spaces. I needed drafting and drawing skills for this, so I enrolled in the Arc-ID program so I could show my clients what their suites would look like when developed. Following graduation, I started my firm, JM Design, which specializes in commercial and residential design. I love organization and resonate with anything related to space planning. It’s so funny, but in high school when you take those aptitude tests that ask you to fit a number of objects into a given space, I really excelled! I went for years not knowing how to apply that skill until I discovered the joys of space planning! Consultation on several smaller design jobs for color palette selection, space planning, and staging. In the spring and fall, I teach Interior Architecture Studio 1 in the program. Cautiously but enthusiastically. Often, I begin with a paid 2-hour consultation so the client and I can see if it’s a good fit. I offer my ideas, ask a lot of questions, and listen very carefully. If hired, I create a detailed Letter of Agreement, with very specific language on my fee schedule and the scope of work indicated, and request a 10 or 20-hour retainer to start the work. What are 3 qualities that got you to where you are today, professionally? Coffee first! Then answer e-mails and texts and return phone calls. Then on to what has been scheduled. I keep a detailed daily calendar of jobs, meetings and deadlines. I like to have my days planned out as much as possible in advance. With construction jobs, it can be a challenge, as things happen quickly and require immediate action, so I’m careful to leave enough time to make thoughtful decisions. I usually have one or two client meetings a day, often in person, but sometimes in the form of a phone conversation. Time is also spent doing product research, generating invoices, estimates, and budgets, going to design center showrooms, drafting, drawing, selecting color palettes, specifying fixtures or furniture, etc. No two days are alike. Develop a reliable and competent team of trade resources, vendors and contractors who have the same professional dedication to their work as I do. Be loyal. Be appreciative. Be reasonable. Other designers! Keep in touch with friends and associates in the business so you can bounce ideas off of them. Be generous about sharing resources. What is something you wish you knew when first got started designing? How physical the job can be! For my commercial work: Travel is great for seeing how hotels and restaurants are designed in different cities. Absorbing new uses of color, seeing interesting layouts of spaces, studying new ideas in lighting design. My yard. I have a large vegetable garden and lots of roses, flowers and trees. Working outside is very therapeutic. I spend time at least once each day. With so many ‘balls in the air’ professionally, this time helps me to balance my life, and the quiet of the outdoors gives me the space to think creatively. Watching 60’ waves in Hawaii, attending a Puccini opera at La Scala Opera House in Milan, and a Verdi opera at the Metropolitan in New York, seeing ‘Hamilton’. My next bucket list item is happening soon - - hiking through Yellowstone National Park. Kim Bernard, ASID, IIDA, is the Executive Director of Facilities and Showroom Design at Walker Zanger (Ceramic tile and stone), and has impressively designed and/or remodeled 27 locations to date, including some for their dealers (one location can include 500 floor installations and 300+ vignettes in addition to numerous architectural installations!) We are humbled and excited to be able to spotlight her this month! When did you attend UCLA Extension’s ARC-ID program? What were the most helpful skills you learned from the program? I completed the program in 1981. Space planning, hand drawing and sketching and how to stay up all night to meet a deadline. How has ASID played a role in your professional (and personal) life thus far? In the early days, I had the opportunity to participate in several community service projects that gave me experience in disciplines that I had never been exposed to such as LA Free Clinic, Foundation for the Junior Blind, The Hollywood Bowl and a remodel of the Mayor’s office. Additionally, I value the many friends I have made and maintained throughout my 35 years as a member. Continuing education in our industry is critical as product and technologies change at seemingly break neck speed. Both of my parents were very creative. I grew up in an A. Quincy Jones house and my family would travel somewhere specifically to see a particular building. I was surrounded by art, design and creative people that shaped my life and continue to influence me today. Current occupation within the industry? How did you come to be in your position? 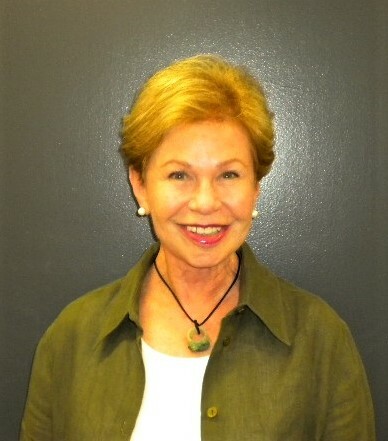 I am the Executive Director of Facilities and Showroom Design at Walker Zanger (Ceramic tile and stone). In 1992 during another, earlier recession, the economy was suffering and I needed stability to support my two children. I took a job with WZ as an outside rep, which turned into showroom manager within 3 months. A couple of years into my tenure as showroom manager at our West Hollywood showroom, WZ embarked on the construction of a new location in Houston. I asked if I could come up with some concepts for the showroom. I promised it would not compromise my daily duties so I worked on it after hours. Fortunately, they liked what I presented and the rest, as they say, is history. I have designed and/or remodeled 27 locations to date including showrooms for some of our dealers. I will say that during those 4 years of working the showroom floor, I honed my design skills and gained confidence in my design decisions. I am currently working on a major remodel and expansion of our Atlanta location as well as a replacement showroom in Charlotte. I typically build a new showroom per year. Some of these are to replace existing facilities. There are over 500 floor installations, 300+ vignettes as well as numerous architectural installations that keep me constantly busy as well. In addition, I am responsible for the office space for more than 200 employees. Being a good problem solver, which is what design essentially is about. And… I hope creativity and tenacity. Staying abreast of the technical changes in the industry and making time to learn new skills. It’s important to balance your own work responsibilities with that of personal & professional development. Before I leave the office each day, I create a short list of tasks for the next day based on a running inventory. After I finish my morning “East Coast construction” emails, I can hit the ground running. I always try to tackle the “worth things first” (which can also mean the most challenging) so that I can handle them when I’m at my peek. Keep growing and learning or you can quickly become irrelevant. The second is to develop trade partners to whom you stay loyal. They will be there to support you when you most need it. Your fellow designers. If you don’t know where or how to find something, one of your designer friends might. Something you wish you knew when you first got started designing? I wish I had started learning CAD earlier. Besides my new kitten (found abandoned in the bushes at work), I have an original Saarinen Tulip table like the one my family had when I was growing up. This one came from a client who didn’t want it anymore and was banished to their patio where it became badly damaged. I had the base painted by an auto body shop and put a new stone top on it. It looks as good as my mom’s did in 1963. Sybille Herwig was hired as an interior design professional at HOK, a global design and architecture firm and one of the leaders in the industry, straight out of UCLA’s ARC-ID program. Since then, her skills and work have come highly regarded by past teachers, advisors, and current colleagues at HOK alike. We are excited to feature this rising star in the design industry this month, and can’t wait to see what the future holds for her. When did you attend UCLA’s Extension ARC-ID program? I was born and raised in Germany. I live in Los Angeles, which is truly a hodge-podge of architectural styles. I am mostly inspired by the cultural diversity of the city and its people. I grew up in the performing arts and transitioned into the film industry when I moved to Los Angeles, mainly working in production. After more than a decade in the entertainment business, I mastered the skill of creative problem solving, but realized that I was catering to other people’s ideas and my own creative urges were left unfulfilled. On a new quest to making a living, applying all life experiences and holding on to the thread of creative expression as tight as possible, I discovered design. I am mainly designing creative workspaces for a vast variety of corporate clients in California and beyond. I just completed construction on a 14,000 SF office space in downtown Los Angeles and a 7, 000 SF space in Atlanta. I am also currently involved in projects in San Francisco and Seattle. Creativity, great eye for detail, strong work ethic. Work life balance is a challenge, as working with demanding corporate clients also means demanding deadlines. My mornings usually start off with tackling my emails before heading into a staff or various project team meetings. In the meetings we discuss project status and demands, as well as designs. As I usually work on 4 to 5 projects at a time - all at different stages in the design process – my days are very versatile. I am either working on space planning and programming, design development (including selecting finishes and furniture), or preparing presentations, 3D renderings and construction documents. A lot of time is also dedicated to meeting with clients, as well as with sales reps to learn about new products and design trends. It is a very fast-paced environment and good time management is of the essence to get it all done in a day. Don’t make any assumptions! Basically meaning, don’t execute anything without full knowledge and don’t be afraid to ask questions. It prevents you from making mistakes and creating situations that could have been avoided if only you would have asked for clarification in the first place. Your senior peers. Drawing from the experience of others is truly the most valuable learning tool. Don’t try to make it ‘perfect’ in the first round. Design is a process; it is movement. There is a method to the madness and that is called ‘development’. The best ideas often come when you are already exhausted. It is usually right there, at the end, when we reach discovery and push through to some new territory and a new, unexpected idea might blossom. Seeing my ideas evolve into tangible architecture for people to live and work generates an immense sense of satisfaction. Do you have a favorite project or story about a project? I am still learning and evolving and I think the truly interesting stories will come with more seniority in the business. In what ways/how do you keep up with current trends? As mentioned above, I meet with a lot of sales reps that present products and design innovations. I also make a point of reading trade magazines, vising furniture showrooms, attending major design conventions and local design networking events. That would be my insanely comfortable king size bed. It is my synonym for rest and tranquility placed in a perfectly feng shui commanding position. Gail was extremely gracious in lending her insights as an industry veteran this month in our Alumni Spotlight. Besides getting to know her a little better, we were excited to delve into how she built, and continues to thrive, as owner and Principal of Soul Interiors. I started the program in 1996. Pursuing the program was a “second career” for me after spending 13 years in the public relations/marketing industry, so I was particularly passionate about it as I knew design was really what I wanted to do. While in the UCLA program, I worked concurrently part-time at a commercial retail design firm which was a result of an internship that blossomed into a job. My studies at UCLA continued into the early 2000s. Yes, I have always wanted to own my own business. My grandparents and parents were all successfully self-employed and that was modeled to me from a young age. And, I worked for numerous corporate companies in my twenties and thirties and knew despite being financially rewarding, I wasn’t a 9-to-5 person. I enjoy the freedom of setting my own schedule and the ability to achieve my own financial goals, even if it means working six days a week which I do often. I would advise students who want to ultimately own their own design practice to acquire a minimum of 2-3 years of work experience with a firm before setting out on their own, acquire the key interpersonal skills mentioned earlier in this article, find a mentor, read voraciously about people, places and things outside the design and architecture world and never under estimate the value you bring to the world. Showing client’s that you are CONFIDENT in the design solution that you’re presenting and explaining your thought process is very important as we are ultimately salespeople for our creativity. It’s very easy to slip into appeasing a homeowner, or a contractor and allow them to dilute your vision, particularly when you are beginning your career, but ultimately you are undermining yourself if you allow that. Trust me we have all done it. I want the people I work for, whether a client or developer, to feel heard and acknowledged, but if I don’t agree with their decision I politely say “that would not be my recommendation” and let them think about it for a day or so. Staying in your power as a creative, and as a woman, is a developed skill. The other interpersonal skill that has been important to master is LISTENING AND OBSERVING. I mean really listening. My clients, subs, and vendors tell me more by their tone of voice, word choice, and body language then by their words. I really try to focus on the sub text of a conversation so I can understand what really is being asked and accomplish it in an effective manner. And lastly, I would have to say DEVELOPING SYSTEMS within your design practice is really key. This comes with experience and astute observation of your preferred methods of engaging with a client and working with them through the entire design process until completion. I am always working on refining our process and documenting it which has really improved our efficiency that last few years. We have a system for screening and on-boarding a new client, a system for the managing the design- to- installation process, and a system for which brand touch points a client experiences while working with us, to name a few. Any task you do repeatedly in your practice needs to documented and systemized. This will free you up mentally and allow you to be more creative, as well as reduce staff stress and instill client confidence in you as a business owner. When you are in an industry where you rely and manage everybody else to create your vision, whether they are upholsterers, tile setters or furniture manufacturers, to name a few, you are going to have issues no matter how diligently you plan, proof and inspect your work. Designers are problem solvers. Everyday. The challenge is to handle things in a win-win manner for all involved and not take the stress home with you at night. I’m still working on that one. Currently, I am working on a dream job with a lovely client who is decisive! Oh joy! She and her husband own a 6600 sq. foot historic Craftsman home located walking distance to the beautiful arroyo in Pasadena. The home is surrounded by mature oak trees, gingko biloba trees and beautiful stonework, so we have drawn inspiration from that, as well as the home’s architectural style. We are also renovating a large home for a young bachelor living above the Rose Bowl in Pasadena, as well as a number of other private residences and law firm office spaces that we are transforming. Most of our clients are long-term relationships in which we help them with their various homes and/or commercial spaces which is nice as we really get to know them and their family which I enjoy. It’s a very personal business. Mornings are all about action. From 8:30 a.m. – 11:00 a.m. we are consuming large amounts of Peet’s French Roast and fielding phone calls from the subs and contractors letting us know what is transpiring at the job sites, which deliveries are coming in and setting up times to meet. Concurrently we are checking emails of course for anything that is time sensitive. By late morning we are making phone calls to any East Coast vendors or showrooms so we can track and place orders before they close. And afternoons are when we can actually get some sourcing and design work accomplished, as well as answer non-urgent emails as there are less interruptions. I would have to say nurture your network is top of my list. Success in business, and life, is about relationships. If you have strong relationships with industry peers, clients, vendors, friends and business people outside the design world, you will do well and always have plenty of referral work. I feel in today’s fast-paced world of impersonal digital communication, it is particularly important to “touch” your network regularly whether it is a quick coffee date, a personal handwritten note or flowers to someone recovering from an illness. All of these small gestures say “I care” and I took time out of my busy day to think about you. People remember that. Additionally, early in my career, after completing design school, I was single and volunteering work for various organizations in the evening. I was raised that doing charity work was an important part of life and giving back. I really enjoyed it and met some amazing people while contributing my time. A key to being a successful designer is having a great Resource List. My client’s jokingly call me the “It Girl” because if you need “it,” I have a resource for it. Now granted, it has taken me 17 years to build my Resource List. This does not happen from surfing the internet for a month. It takes time and some trial and error to build up your sources. As a young designer, I would recommend taking a digital break and spending time at your local design showrooms at the Pacific Design Center, Los Angles Mart and other private showrooms around town. Get to know the showrooms and the vendor lines they carry. Look at the goods, ask questions. Start a list on your laptop, collet business cards, notate what the manufacture is known for, if they do custom work, what their price points are, etc. That it is SO important to seek out a mentor as it will shave years off your learning curve. I understand it is intimidating to approach an industry veteran when you are new to a business sector such as design or architecture, no matter what your age, but the rewards of getting over that little bit of fear are so worth it. When I can take a unique or sentimental piece from a client’s home and really showcase it whether it is through creatively re-framing it, assembling a collection, reupholstering the piece or personalizing it in some manner, that brings a lot of joy to me. Additionally, these gestures add depth and context to a space, while reinforcing why clients choose to invest in interior designers, as opposed to buying everything new from a store or website. One short story about a commercial job we completed in 2012 I would like share, is about the value we as full-service designers bring to a project as we all know our relevance in today’s hyper-digital world is consistently being challenged. In a nutshell, the client was a growing family law firm that took the financial leap to invest in a sizeable amount of Class A business space in Pasadena. The managing partner had never retained an interior designer prior. Thankfully, he was insightful enough to know that to manage his firm’s growth, retain the type of talented staff he desired and attract the high-net worth clients he wanted he was going to need to make a sizeable financial and emotional commitment to the entire soup-to-nuts design process with us. To his credit, it was a very rewarding year-long project for us as we worked in conjunction with his staff, and outside branding agency, and were able to translate their law firm’s values, mission and branding in their physical space. This was achieved by highlighting their firm’s community service work in the public areas, installing custom artwork by a noted local artist, incorporating their company brand colors in their décor and furnishings, showcasing their firm’s awards and recognition and creating an overall concierge-level feeling for prospective clients. It was an extensive process and certainly not one that could be accomplished by today’s ubiquitous e-design or retail design business models. I believe thoughtful, functional design is not a quick, remote or one-size-fits- all solution and my clients will concur. In the end, this project was a big success and was made even sweeter by receiving a note from my client stating that we exceeded their expectations, and helped them create an environment, not for who they were currently as a business, but for who they wanted to aspire to be as a brand going forward. To know that thoughtful design has the power to elevate people’s success, increase their happiness and improve their health and well-being is priceless to me. Honestly, I am not a big proponent of following trends. I certainly find them interesting and stay current through reading domestic and European trade magazines, as well as attend industry events such as KBIZ, Las Vegas Market or What’s New, What’s Next in NYC. But most of my clientele want creative personal solutions, not necessarily what’s trendy. If I do show them something considered au currant, it will be in a “soft goods” product they can change later if desired, not typically something permanent. I believe there’s a big difference between having style, and following trends. I would encourage young designers develop their authentic style, or “voice” and not get too seduced by trends. Currently, my husband and live in a city nestled against the San Gabriel mountains called Altadena. We love being closer to nature, the hiking trails, the wildlife and the artistic residents (who are also the wildlife). Living in a less formal environment where anything goes has taught me to let go of my propensity for symmetry and perfection and to be a bit more experimental. Oh gosh, so many things. But it can all be summarized with two simple words: Creating Beauty. I live for it. I chase it. I look for it in fashion, nature, jewelry, textiles, while traveling, while sitting on the freeway…..the list goes on and on. I am passionate about how transformative it is to be surrounded by beauty and truly believe it can improve my client’s mindset, health and success in life. The built environment is a powerful tool for us to use to help others. You may know Suzanne Sheppard’s office is on the second floor of the 1010 Westwood building, and is our Student Affairs Advisor, but did you know she was born in Hungary, and has lived in a Ludwig Mies van der Rohe building in Chicago? We surely did not, which is why we are excited Suzanne took time out of her busy schedule to answer some of our questions so we could get to know her a little better this month! Suzanne is a cornerstone of our program, and it is apparent she loves working with students because she radiates a passion for helping to give students a start to making their dreams a reality. If you have not met with her, or have any unanswered questions, don’t hesitate to reach out to her at SSheppar@unex.ucla.edu or drop by her office to introduce yourself! Where did you grow up? Where did you attend undergrad? Born in Hungary; then moved to New Jersey; then to Los Angeles; then to Chicago; then back to Los Angeles. I graduated from CSULA, majored in Education; then graduate work at UCLA. The first time, as a child, was with my family, - by train from Perth Amboy, N.J., - to pursue the dream of living in the land of gold! The second time, from Chicago, as a married woman with a husband and 5 children, from Chicago. What attracted you to enrolling in this program? In Chicago, I lived on the 27th floor of a Mies van der Rohe building, overlooking Lincoln Park and Lake Michigan. It was heavenly and sparked my interest in art and architecture! The furniture in the lobby was all Mies van der Rohe’s. After living there for 10 years, my husband, a criminal defense attorney, had purchased a house in the Hollywood Hills, - sight unseen. When I arrived with the children, I opened the front door to find the entire downstairs living space painted black with strobe lights everywhere. Because the landscaping was also in decline, I went into UCLA Extension’s Landscape Architecture program. I changed to the Environmental Design Program (which our Interior Design Program was called then) when I was not interested in taking a Landscape class dealing with irrigation ditches and retaining walls. So, I then turned my attention to the interior of my house. I found a house painter, or rather, he found me at Koontz Hardware. He was able to cover the black paint with 5 coats of white paint, and then we got a bit creative with some of the rooms! I decided that I needed some professional education. I enrolled in the Environmental Design Program (as it was called then), and I thoroughly loved it! The program was flexible and it took me 7 years to complete the 3 year program, but that was fine, because, simultaneously, I was raising my 5 children and helping to run my husband’s law practice. Design projects came to me and I was also painting and taking art classes. How did you end up in your current role in Education? My previous degree was in Education. I taught gifted children for the L.A. Unified School District, and I was a Master Training teaching for UCLA for the LAUSD, before moving to Chicago. I particularly loved the History of Environmental Design courses, and became the T.A. for Jody Greenwald’s classes. 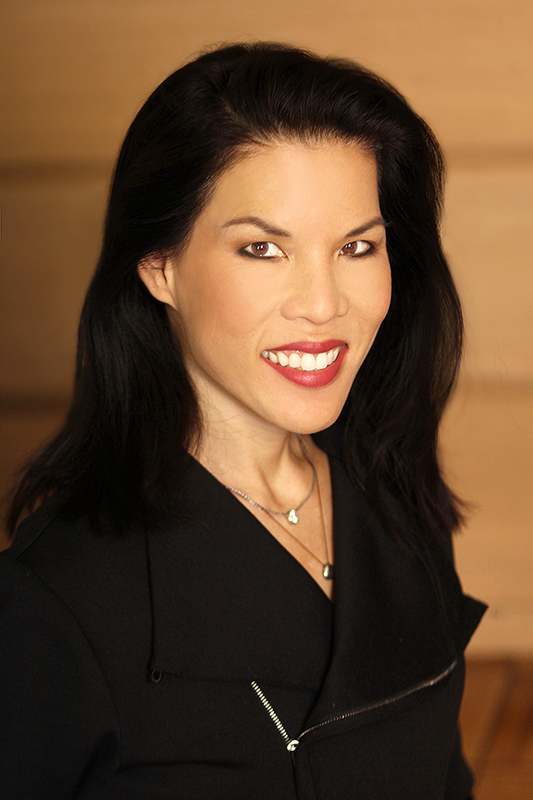 Jody founded the Interior Design program at UCLA Extension. When I graduated from the Arc ID program, Jody “commanded” me to become the Advisor to the program. In addition to the 7 years in the program, I have been in this position with UCLA Ext. for 27 years. Striving to do everything to the best of my ability. Emails, telephones and meetings with prospective students and ongoing students for both the Certificate program and for the Master’s program; transcript and portfolio evaluations, review resumes, assist with connecting students to internships and jobs; attend staff and UNEX meetings, coordinate with Cal Poly Pomona for the Master’s program, prepare reports, assist with open houses and orientations, maintain relationships with professional designers and architects and stay current with their work, etc., etc.! Build a professional design network, i.e., belong to a design organization (s), like ASID; and maintain your friendships from UCLA Extension! Always try to do something that you really love! More travel to distant lands. Ashley Manhan and her now business partner, Andrea DeRosa, first met in 2005 and quickly realized their shared passions and ambitions for design while Ashley was attending the UCLA Extension ARC-ID program. Upon completing the program and working in the field to gain experience and expertise, Ashley reunited with Andrea to start their own design firm, Avenue Interior Design, in 2009. Despite the economy falling into a deep recession, Ashley and Andrea persevered by redefining expectations of their clients while providing unique and innovative designs both nationally and internationally. While the firm tends to take a low-profile stance in a see-and-be-seen industry, they continue to contract high profile clients for full-range design services. Avenue Interior Design has grown to over a dozen employees, and has become the go-to for hotel guestrooms and suites, public areas and lobbies, restaurants, bars, casinos, nightclubs, spas and retail, and boast clients such as SBE, Boyd Gaming, The Borgata, Kimpton Hotels and restaurants, MGM Resorts International, to name a few. We were extremely fortunate to get to ask Ashley some questions this month to get a better idea of who she is and what her design firm is all about. My first internship was in hospitality- and I’ve never looked back. Andrea and I started the company in 2009- right when the economy crashed. It was a risky time but we were lucky to find a niche in the industry and offer a service and product that our clients were needing. A handful of our current scopes include the renovation of the guestrooms & suites for the Palms in Las Vegas, a new casino property in Springfield, MA with MGM Resorts International, SLS Beverly Hills guestroom remodel, a boutique property, The Ramble, opening later this month in Denver. We recently opened the SLS Baha Mar and Hotel Modera in Portland. Determination- staying focused on what we wanted Avenue to become and not giving up through the hard times. Good old fashioned hard work- I’ve never been afraid of getting my hands dirty. Whether it’s installing furniture or a menial chore like taking out the trash, I believe you can’t be above any task to run a successful business. Being a good listener- you’d be amazed at how many things you learn when you step out of your own mind and viewpoint. It usually starts off with traffic (thank you, LA), then typically includes all of the following: morning catch-up with Andrea, conference calls, coffee, shop drawings, office meetings, design reviews with the team, concepting for a new project, late lunch at my desk, endless emails, calls from clients and I finish the day with a to-do list for tomorrow! What is one of your biggest challenges as a business owner? Lately it has been tough for me step away from the design process and focus my attention on managing and business development. I still love writing specs, working out the details and seeing a project to completion so it’s challenging to find a balance doing both. Internships. I think it’s so important for students to get experience in the working world while they are in school. This helps you look at what you're learning in class with a different perspective and hone in on skills that you know you’ll need for your future. That you never stop evolving and growing as a designer. Each year and project bring more experience, knowledge and inspiration therefore you’re never done learning. My SLS brand standard mattress- it helped when I was opening the SLS hotels in Las Vegas, Miami & Bahamas because I always felt like I was sleeping in my own bed! ALUMNI SPOTLIGHT: Alexis Manfer, owner of interior design firm Alexis Manfer, Inc.
Alexis Manfer knew she wanted to be an interior designer the moment she started her first internship for Kelly Wearstler during her senior year of undergrad. After graduating from USC with a degree in Art History, she immediately enrolled in the UCLA Extension Interior Architecture Program in 2005 and graduated with her Masters Degree in 2008. “Once I completed the program, I moved to NYC and worked for two well established design firms where I gained invaluable client and project experience. Working under the NYC designers and firms was great, but after a couple years I was ready to start my own firm and design my own projects,” which she did in 2012. We are thrilled to spotlight Alexis this month and gain some valuable insights, seeing that she runs a very successful design firm that she founded on her own, 4 years out of school. Working under a seasoned design professional. The experience and knowledge gained from working under a seasoned design professional is invaluable. Find a mentor you admire and respect, and ask to work for them. My mornings are always spent on my laptop. My brain is sharpest in the morning and it’s the best time for me to complete tasks that require focus such as responding to emails, executing floor plans in AutoCAD, and finance related items like budgets. My afternoons are when I become more social and creative. Having enough time in the day! I love what I do and can easily get caught up working all day every day. Managing my time and prioritizing tasks has been something I’ve learned after many years of designing. Why did you go on to get your Masters, and how has it benefitted you? Education has always been important to me. My years of schooling helped guide me to find my artistic passions, that’s where I learned my strengths and what I enjoy doing. When I decided I wanted to pursue a career in interior design, I knew to be successful there was information specific to the industry I needed to learn about. I knew if I wanted to be great, I would need to understand the history of the subject, gain the technical skills required such as space planning, drafting, AutoCAD, and drawing. The UCLA graduate program taught me everything I needed to know about interior design including proper lighting layouts, fabrics: what types to use for upholstery vs. window treatments, color theory: the science behind colors and why certain colors work well in various settings. We learned requirements regarding building codes, clearances needed for hallways, walkways, kitchens etc. These are the skills I use every single day in my business. The UCLA Interior Architecture masters program is where I honed my skills and gained the confidence to go out and work in the interior design industry. The program training prepared me to be creative and to be a knowledgeable and proficient designer. When clients hire me, they know they are working with a trained, educated professional and interior design expert. As a young professional and new business owner I had to really work to figure out how to manage and build a business and set aside a little time for myself just as passionately as I would engage in projects and time with clients. I’ve worked on a wide range of projects at different scales, budgets, and all across the US. I’ve completed residential projects ranging from 1,500 sq. ft. to 6,000 sq. ft. I’ve completed commercial offices ranging from 1,000 sq. ft. to 20,000 sq. ft. I’ve worked on projects with teams that included architects, contractors, and structural engineers. Some projects have been complete teardowns where clients hired me to not only remodel the aesthetic but also create an entirely new layouts and space plans: moving walls around and completely updating kitchen, bathroom, and bedroom layouts. I’ve also had clients hire to me to come in and furnish their existing space, helping them with selecting goods that properly fit the space and adding area rugs, art, and accessories…the décor that really brings the overall design together. Every project is exciting and I absolutely love working with each unique client to come up with designs that fit their specific needs and aesthetic preferences. I’m currently designing five projects – Venice Beach, CA, Westhampton Beach, NY, Brentwood, CA and Aliso Viejo, CA. Most of them are gut renovations but each project is completely different from the other. The styles are different, the scope of work is different, the scale is different, and the clients are different…and I love them all! The Westhampton Beach remodel is 4,000 sq. ft. residence with a neutral color palette. It’s located on the bay and the clients want the interior to feel calm and soothing. We’re selecting finishes, furniture, and accessories that are organic in shape and outfitting the home with lots of yummy layers and textures. The Venice beach gut renovation is a 1,600 sq. ft. Spanish style bungalow. The clients want to update the original layout by expanding the kitchen and refreshing the style to be more modern, functional, unique, and eclectic. We’re implementing incredible details including one-of-a-kind custom cabinets and gorgeous custom tile. My white sectional sofa! I’ve always wanted to live somewhere large enough to accommodate a huge sectional sofa. They’re comfortable and spacious enough for lots of friends and family to gather. After years of living in small apartments in San Francisco, Los Angeles, and New York City, I finally have a place in Newport Beach large enough to accommodate a sectional sofa. I made sure to order a size that perfectly fits my Living Room. It brings the space together making it feel inviting and well balanced. It’s my favorite place to hangout with friends, watch movies, read through design magazines, or scroll through instagram. I love it! Designing a boutique hotel, jet, or yacht! 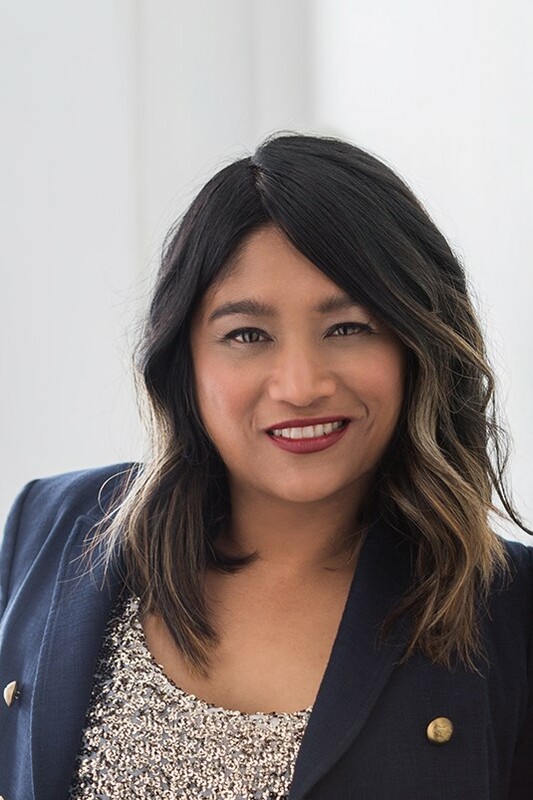 A graduate of Johns Hopkins University and Columbia Business School with a BA in Behavioral Sciences and an MBA in Management and Marketing, Charrisse Johnston was a Wall Street strategic planning executive before going back to school for interior design. She attended UCLA Extension’s ARC-ID Program from Spring 2002- June 2006, graduating valedictorian of her class. While in school, she resuscitated UCLA Extension’s dormant ASID Student Chapter in 2004, along with Joanne MacCallum, her Studio I teacher. By 2007, the chapter had become the largest in the West and was subsequently awarded Outstanding Student Chapter of the Year multiple times. Charrisse served as a director on ASID’s National Board from 2008-2010 and helped establish the national Emerging Professionals Council. Following her graduation, Charrisse spent 9 years at Gensler. As a Senior Associate, Studio Operations Leader and Project Manager at Gensler, Charrisse managed and designed educational and corporate projects. Her clients included USC, Hyundai Capital, Herbalife and LACMA. Additionally, Charrisse oversaw the office’s pro-bono and community service initiatives, leading service projects for the Los Angeles Youth Network, the Ecole Nationale Jacob Martin Henriquez in Haiti, the Inner City Law Center and the new LA County “Housing for Health” clinic and offices. Charrisse most recently was the Principal and Interior Design Practice Leader at Steinberg Architects, where she established the firm-wide interiors practice for offices in Los Angeles, San Francisco, San Jose, New York and Shanghai. However, she recently gave notice to Steinberg Architects, and is moving to South Africa to start her own design firm along with her fiancé. Tell us about your work at Steinberg Hart. I just left Steinberg Hart, a 60-year-old architectural firm where I established an interior design practice. It was thrilling to be a Principal at a respected, medium-sized firm and build a brand-new practice from scratch. I’m now Past Chair of ASID’s National Board of Directors where head up two committees. And I’m busy gearing up for my move and coming up with ideas for the new design firm we’ll be starting up later this year. Why are you moving to South Africa? It’s time for a change! Interior design is my second or third career depending on how you look at it. I was pre-med in college, then got my MBA and worked on Wall Street in strategic planning before founding an event planning firm. Interior design came after that. Now that I’ve served as Chair of ASID’s National Board of Directors and I’ve put Steinberg Hart on the map as an interior design firm, I’m ready for the next chapter. My fiancé is a native Captetonian who left South Africa to practice architecture across the globe. So, we’re moving there to build our dream home and some rental properties, teach, and start our own design practice. In Princeton, NJ. I’m the daughter of Chinese immigrants and the oldest of four kids. Both my parents were both born in China, fled to Taiwan during World War II, came to the US to attend graduate school. They met here in the US, got married and became citizens. You know, I really didn’t know what interior design was when I attended the design program’s Open House. At the time, I was home with new baby, not working, and itching to get out of the house. UCLA Extension must have gotten my name from a mailing list of shelter magazine subscribers. At that Open House, I learned that interior design was so much more than decorating. I was still very intimidated, because I didn’t think of myself as an artistic person. So I took an art history course, followed by the Fundamentals class, and I just kept going. I loved that design is both a left- and right-brain activity and it engaged me on every level. What inspired you to establish our ASID Chapter? I wish I could take the credit but it really goes to Joanne MacCallum, my Studio I instructor. The chapter had been defunct when the previous officers had graduated. Joanne was the one who thought we should start it up again, and for some reason, she thought I would make a good student chapter president. It was because of her encouragement that I took on the challenge. She and I still laugh about the first meeting we hosted. She brought a dozen bagels (or was it donuts?) and maybe 2 other people showed up! What is the last project you completed? One of the most successful projects Steinberg completed is the historic PacMutual office building in downtown Los Angeles. The previous owner gave the building a terrific makeover and sold it for a record $200 million in 2015. The new owners wanted to take the repositioning a step further, and they asked us to come up with new amenities spaces that would further attract creative media tenants. We did extensive research and eventually gave them a hotel-like tenant lounge that’s a hang-out space during the day and an event space in the evening; a suite of meeting rooms of various sizes; a large multipurpose training room; a bike “spa” to store and maintain the tenants bikes; and a state-of-the-art fitness center. Throughout the spaces, we allude to the building’s Beaux Arts legacy while serving the lifestyles and needs of today’s workers. 1) saying yes to new opportunities, 2) self-discipline, and 3) a genuine interest in other people. It sounds like a cliché, but I tend to take on too much and saying yes too often. Last year I had some health challenges, which caused me to take a big step back and reassess my priorities. What did your typical day look like in your last position? When I was working at Steinberg, I would be up by 6, leave for work by 7, and arrive by 7:30/7:45. From 8-6, the days were filled with back-to-back meetings and conference calls. I sat in an open office with my team so we were constantly talking and sharing ideas – I loved that! I read and responded to emails throughout the day because clients expected that level of service, and I made sure to reach Inbox Zero each night. Around 5 pm, things usually quieted down enough for me to concentrate enough to work on proposals, write articles, etc. I tried to leave by 7 p.m. and not do any work when I got home. Don’t be afraid to go for something you don’t feel 100% qualified yet to do. This is especially true for women. You need to stretch and take risks, and if you wait until you are totally sure you can do something, you’ll be left behind. What is one helpful design resource you can recommend to students as they enter the field? The reference book “Human Dimension and Interior Space: A Source Book of Design Reference Standards” is incredibly useful. I can’t tell you how many times I have consulted it. It tells you how much space to allot given all sorts of spaces – dining, learning, working, healing, etc. Being able to accurately predict how long it will take to accomplish a given task. When you’re in school, the only limit to the amount of time you work on something is your own stamina and the assignment’s deadline. But once you’re working, it is crucial to work efficiently so you don’t blow the fee. Unfortunately, when you are just starting out, you tend to spend twice as much time as you estimate … and your estimate is already going to be longer than a more experienced person will take. So there is definitely a learning curve! My mom. She came to the US at age 20 to attend law school, having already earned a law degree in Taiwan. She earned her JD in 2 years rather than 3, in order to save tuition, while working at a factory stringing beads and sending money home to her parents and sister. I learned the meaning of hard work and responsibility from her, and only now do I fully appreciate how she raised my siblings and me (4 kids in 5 years) on a modest income. She used to sew all our clothes, cook dinner every night, clean, do yardwork, teach us Chinese and make sure we practiced our instruments, all without any complaints. I can never repay her for the sacrifices she has made for the four of us! I go inside my head – I read! I try to read anything and everything I can get my hands on, and not just design-related stuff, although I subscribe to a slew of design magazines too. I read everything from the news and restaurant reviews to research studies, political analyses and whodunits. I get bored easily, if you haven’t figured that out already! My Knoll Womb chair and ottoman. It was an unholy splurge made during a moment of weakness, but I absolutely love it and have no regrets! There are only 2 problems with it: 1) it is so comfortable that I always fall asleep in it when I try to read, and 2) my cat seems to think it’s his cat bed. I really need to get it reupholstered because it’s looking pretty grubby. Eleanor Schrader’s art history courses opened up a whole new world to me. It’s like that scene in the Wizard of Oz when Dorothy lands in Oz, opens the door, and sees everything in Technicolor! All those buildings and paintings she described to us so vividly absolutely captivated me. Of all those spaces, I would love to visit two in particular: the Hagia Sophia and the Pantheon. ALUMNI SPOTLIGHT: Frank Slesinski, Slesinski Design Group, Inc.
Worcester, Massachusetts about 45 minutes outside Boston. I was always fascinated with beautiful homes; as a boy I rode my bike for hours navigating the neighborhoods of my hometown, dreaming of what lay inside those front doors. Worcester had every style of home: Georgian, Spanish, Colonial, Contemporary, Ultra-modern. We are currently reimagining a large contemporary home in Nichols Canyon; I would call it, “Bali Modern.” There is an oak tree growing through the home from the front foyer through the upstairs master bedroom and roof to the sky beyond. There is a stunning canopy of green over the house. We are also finishing the renovation of an Hancock Park Spanish bungalow and expanding the roof deck of a luxurious historic gothic-deco condominium building in Hollywood. We completed the first stage of the roof and lobby two years ago. It’s always nice when old clients come back with more work! Work/Life Balance. I think of clients’ projects 24/7, and sometimes it is difficult to pull back and just enjoy the fruits of one’s labor. Each day is different. I spend 30% to 40 % of my time on project management; which keeps me on the road several hours most days. The bulk of my time is spent working on client presentations and shopping. Squeezing in time for paperwork is important to keep on top of billing! As current president of the ASID LA Chapter, I would be remiss if I did not say, “join ASID.” I was first a student member, and after graduation - an Allied Member. It has literally shaped my career, connected me with wonderful colleagues and resources, and help put me on the map. Once again, ASID membership – get to know their Industry Partners because they are your best resource for product information and expert advice. Clients hire you for your talent and point of view – don’t be shy about expressing yourself and knowing the value of what you bring to the table. I really admire the late Albert Hadley of the celebrated Parrish Hadley firm in New York. First and foremost for his incredible talent, but also because he was the consummate gentleman and quite humble; he was not afraid of calling himself a “decorator.” His firm nurtured some of the most brilliant designers today whose careers I admire (Bunny Williams, Brian McCarthy, David Steinberg, to name a few). It may be an overused term, but I would call my personal style “eclectic.” I love mixing different periods – Asian and English pieces with Mid-Century to very Modern. Our homes reflect our experiences and travels, so why limit our expression of how and where we have lived and what interests us? I take constant inspiration from my surroundings – including those things that “work” and those things that “don’t work.” I’m always curious as to how and why things come together, or not. Travel is always important, as well as my garden, and even Instagram and walking the PDC; you name it. Since you said favorite “thing,” I guess I have to eliminate my husband and two dogs – so I guess would say our large abstract painting by the New York artist, Helen Iranyi. I would love to design a boutique hotel. 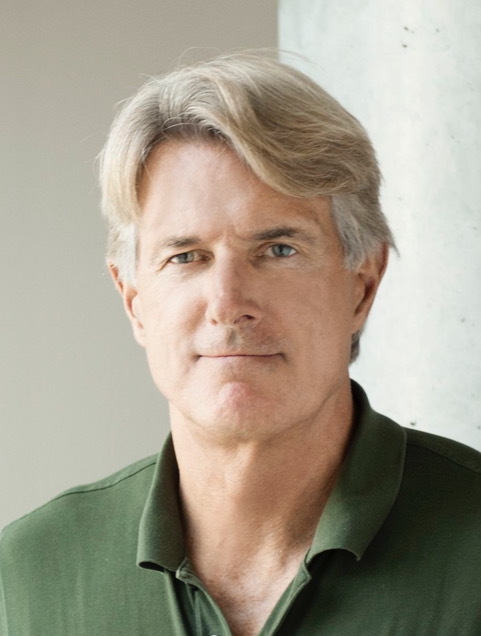 You may remember him as a guest speaker if you took Fundamentals with Eleanor Schrader, or crossed paths with him at the Pacific Design Center (PDC) or an event around town. 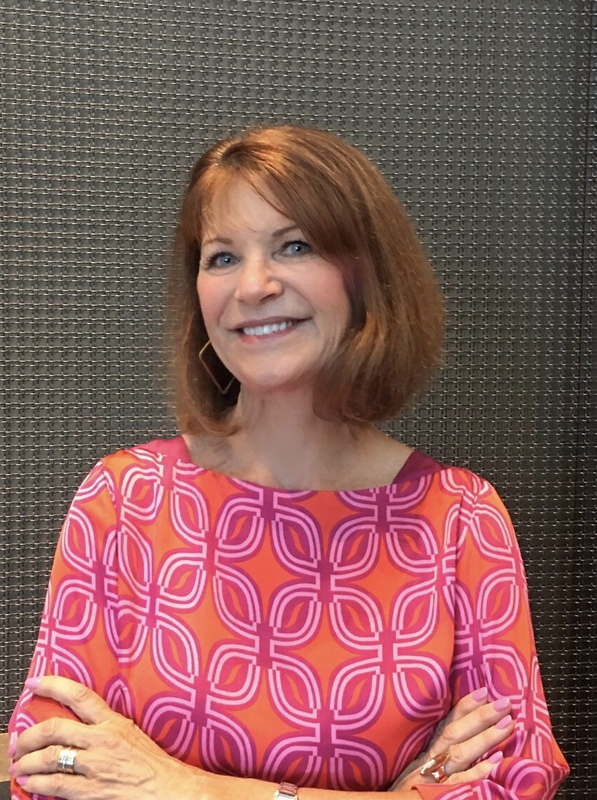 This month we are not spotlighting an interior designer as we typically have in past months, but rather Rocky LaFleur, who has become a central fixture, guru, and mentor many in ASID. Having his finger on the pulse of the interior design industry in Los Angeles and Paris, we were excited to ask him a series of questions because he boasts a unique and unparalleled perspective. There is no question he cannot answer, or seemingly anyone who is better connected than he. Rocky recognizes students are the future designers of the Industry, and donates much of his time to the enrichment and growth of those who are interested. A small town of 430 people in South Dakota. I am the oldest of nine children. Hospitality sales for Needler Fauchere. Up at 5:30 read the papers and meditate. Go to the showroom in the PDC and jump on the carousel. Ending dinner with design friends. Best career advice you've gotten? Never expect from other people what you expect from yourself. The PDC and its people. Get to know them. As someone who is in the thick of the LA Design scene, how do you suggest students break into the industry and get involved? Show up. It’s always been and always will be about relationships. Go where designers go and see what designers see and speak up and introduce yourself. Get on mailing lists, event lists. Museums and art openings. Lectures. Parties. Make friends in the industry. How have you been involved with ASID, professionally? I got involved with ASID when I moved to LA forty years ago when I knew no one. Got on committees and attended events and made friends. These are still my friends today who shared with me how to be good in this business and a how to receive value from community. And as time moves on and enormous challenges change this business ASID helps keep me in the current world of business and design. I show up and give back. ASID is the base of my design universe for sources, clients and satisfactions. Interior Designers who have great passion and want to make a difference. What is your favorite 'thing' in your home? Huge map of old Paris. Japan, a culture that draws me and I want to experience before my time is up. Keep moving! Laura Muller, Allied ASID, is the CCO/Founder and Principal Designer of Four Point Design Build Inc. (www.fourpointdesignbuild.com), a full service residential and commercial interior design-build firm based in Los Angeles, with clients nationwide. She has been designing, developing and building diverse residential and commercial projects in Southern California for over thirty‐five years. With a strong and lengthy background in community outreach and service, Laura consistently spearheads large charity “passion projects” with organizations such as ASID, Ronald McDonald House, Step Up on Second, and others. Laura’s key passion is to reduce youth homelessness by raising awareness about mental illness, and building community connections that inspire hope, and firmly believes that together we can build a better tomorrow for all those in need. We currently have 9 projects at some point of development or completion. Current projects include a 10K sf and 4K sf commercial tenant improvement, a 34 room Hancock Park historic restoration project (interiors and exteriors), and some very cool residential remodel expansions in areas such as Culver City, Venice, and Calabasas. As a former set designer/builder and performer, (and for as long as I can remember), it was always a passion to discover how space, lighting, path of travel, furniture and people work together to influence and express a clear message or feeling. In theater, EVERYTHING on a set has meaning, and how people interact with “things” is very intentional. It is fantastic how completely powerful design really is! It was a perfect match to take those intuitive talents and focus them into a design-build business, where these skills I learned over many years, it is EXACTLY what I have the great pleasure of doing every day. Time. There is never enough of it. I start my day at 5:00am with a prayer, coffee and 30 minutes of dedicated social media updating and engaging. I’m at the Studio by 7:00 am and I plan the day, update calendars, send emails. By 10:00am the team is all in, and we’re in full-swing with designing, drawing, site visits, resourcing, managing projects and fielding the unexpected until 5:00pm. I, personally, will stay at the office at least two days a week for quiet design work, as I tend to be most creative later in the afternoon. Shoes off, coffee in hand, drafting board, music, and I am in heaven. The other days I’m out by 6:00pm for family time and/or design events. Get involved (I mean get REALLY involved) with your local chapter of the American Society of Interior Designers (ASID). Convert your student membership over to Allied as soon as you graduate and go to the events. Call your Local ASID chapter office and volunteer your service. The rates are fantastic your first years out of school…and you won’t be sorry. Here you will continue to grow with professionals who are MORE than ready to guide you along your emerging professional journey. I wish I knew more about budgets, timelines, contracts, clients and real-life expectations. It’s a BUSINESS first. I learned that very quickly. I had a wonderful, gifted, and patient mentor who allowed me to jump in 110% and make mistakes in a very contained condition. I learned fast. I’ve had many mentors. Some came to be way of chance. I would say, fate! Some have come virtually and thru research. I’ve had some very important and very special mentors guide me via ASID. But my most important mentors have come to me via UCLA. I am blessed to have had the very best guardian angels and some very strong women and teachers in my life who lift me up, and challenge me to greatness! I admire anyone who is kind. Kindness and integrity are two very important and valuable acts that transcend all professions, lifestyles, and profit. At times kindness, tolerance, acceptance, integrity, truth and forgiveness can be difficult, and that’s what makes it important. I travel. It gives me time to listen to my heart and restores my creative spirit, and soothes my tired eyes. Singing the National Anthem at the Super Bowl. In the meantime, I’ll take Ireland. Darra Bishop describes her personal style as “Mid-Century Modern, Mod, Vintage Industrial but with a healthy dose of unconventional thrown in for good measure,” and says one of her favorite things in her own home is a pair of vintage orange and white glass Holmegaard capsule shaped table lamps. I spent a good deal of time as a child and young adult helping my mother paint and furnish our homes. We moved around a lot, and every new place was a chance to create something beautiful. Interior design remained a deep interest to me, even through my careers in sales, marketing and advertising. I have always felt that one's surroundings can have a material effect on one's mood and outlook. I currently have 2 larger house remodels and one small, but interesting garage renovation. I love integrating a client's personality into their home. One of the house remodels centers around 2 properties - one house that is being converted into an AirBnB in Topanga that we are designing with a real beachy playful vibe - think bright encaustic concrete tile and bold colored furnishings paired with soft muted linens and breezy fabrics. The garage conversion is on its face an office, but digging deeper, I am creating a very special display / retail area for a client and his extensive childhood collectables. I am very excited about this project because it will end up being an unconventional and deeply personal space for the owner. To be a successful owner of a design firm, you need to work ON your business not just IN your business. That means always looking for prospects even when you are too busy to think about additional work. It is difficult being a rainmaker and balancing that with the day to day demands of interior design projects. I try to spend at least 2 half days a week at make | model | method so my business partner and I can strategize and find the types of boutique hospitality (independent restaurants, coffee shops, hotels + retail) projects that we want to do. Since our formation in 2014, we've been very busy with mostly multi-family renovation projects and really want to pivot to doing more restaurants and retail, etc. My typical days are divided between project management of projects in construction and design work for projects in the schematic design phase. Every day is a little different which keeps things interesting, but is also very challenging, especially if all you really want to do is shut yourself in a room and get some drafting done! Identify 30 people in your industry that are potential ambassadors for your services. Maintain and deepen these relationships, as your business will be 70% referrals. Hopefully you will have repeat clients, but it is important to have enough prospects and potential jobs lined up do that you end up doing the projects you want to do, not just whatever comes your way so you can pay the bills. Join ASID. Take advantage of ASID events. These events bring together industry professionals and Industry Partners and will prove to be amazing resources for your design questions and sourcing or specification needs. I have IP resources that I can really lean on when I need an expert - from fabric to lighting to hardware and plumbing - we can't know it all, but we should know where to get the answers our clients need. I wish I had been better at communicating my value as a designer. When I first started out, I was excited just to have clients! Understanding that what we do is valuable is a great help in standing behind and sticking to your design fees. I am a big fan of Charles and Ray Eames. They lived and breathed their work, had a family that produced their designs, and created things that are timeless (and tremendously comfortable)! There are many designers and architects whose work I admire, but I mention the Eames because I also admire the way they created their work. Everywhere. Retail stores, Coffee shops, The movies, Pinterest, Shelter Magazines, different cities and countries. I live in the Westside of Los Angeles, but before that, lived for 8 years in Downtown Los Angeles. Living in DTLA absolutely influenced my work. My favorite projects are loft or live work spaces. I love that you can design around how a client wants to use their home instead of the home's layout dictating how it is to be used. DTLA also has so many and diverse hidden gems from an interior design and architectural standpoint. I started in 2005 (part time) and ended up being the first class to graduate with the MIA in 2011.